It is monsoon season in India. Outside, dark clouds roll in and the rain starts to fall. As animals scatter to find cover, a young boy and his dadaji (grandfather) head out into the rainy weather. The two sail paper boats. 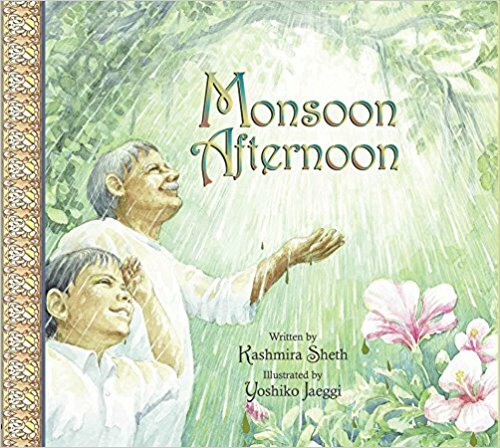 They watch the peacocks dance in the rain, just as the colorful birds did when Dadaji was a boy. They pick mangoes and Dadaji lifts up his grandson so he can swing on the roots of the banyan tree, just as Dadaji did when he was young. Finally, when the two return home, hot tea and a loving family are waiting.